I wanted to share some of the great places to go and explore here in Portland. I had the opportunity in my Personal Assistance work to help a friend of mine’s mother by driving her to her appointments and to some of the great activities and attractions in Portland and the surrounding area. We had a wonderful time on these outings and I’ve made a list of places we went and where we might want to go. It’s been fun to learn more about Portland and it’s been a wonderful way to get to know my new friend. I offer also as a Personal Assistant to be a Tour Guide for fun local outings in the Portland area, Oregon and southern Washington. Art Galleries in the Pearl - http://explorethepearl.com/ or do the First Thursday walk: http://www.firstthursdayportland.com/ Portland has a great art scene and a lot of galleries to peruse. I love to browse through and see what's being created here. Chinese Garden - 10 am to 5 pm daily. 239 NW Everett Street, Portland OR. The Lan Su Chinese garden was built by Chinese artisans from Suzhou and is the most authentic Chinese garden outside of China. http://www.lansugarden.org/ Th rocks and sculptures throughout the garden are amazing and if you take the tour you find out what they all mean in Chinese lore. You also might run across a Tai Chi class or some great local art. 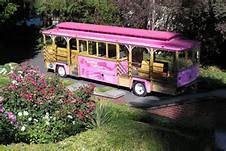 Big Pink Trolley – 10 am, to last pick up at 4pm, or anywhere in between. Hop on Hop off trolley all around Portland. http://graylineofportland.net/ There's more to Portland than one might think. I want to take this ride to find out what else I can put on the list. I love this walk for the views of the city from the east side and to be so close to the river, even if the freeway noise gets a little loud at times. Sundays are the best for more quiet. Japanese Garden - 611 SW Kingston Ave, Portland, OR 97205 Fall hours: Monday: Noon-4pm Tuesday–Sunday: 10am-4pm $9.50 Adult $7.75 Senior (62+) http://japanesegarden.com/ Peak fall colors are in late October. This is a really wonderful place to be immersed in nature right in the city. It feels good just to be there, to sit and take in the peaceful energy of the landscape. Kelly Point Park - N Kelly Point Park Rd, Portland, OR 97203 West on Marine Drive to where the Willamette and the Columbia meet. This is also a spot on the Lewis and Clark Trail. There is a paved path. Picnic tables, walk through the woods along the river. North Waterfront - Walk under the Burnside Bridge, north to and under the Steele Bridge, then a couple blocks north. Turn west and walk over the train bridge to the train station and up into the Pearl. http://explorethepearl.com/ This is a really fun walk if you feel like exploring and walking along the river. NW 23rd St - Walk down and back between Burnside and Raleigh. Lots of shops, restaurants. http://nwpdxnobhill.com/ It's fun just to take a stroll through and window shop. Rice Museum of Rocks and Minerals - I absolutely love this place! 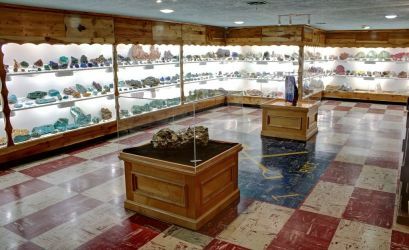 It has the most amazing a beautiful collection of rocks, gems, fossils, petrified wood and minerals that I have ever seen. OMSI - Oregon Museum of Science and Industry. 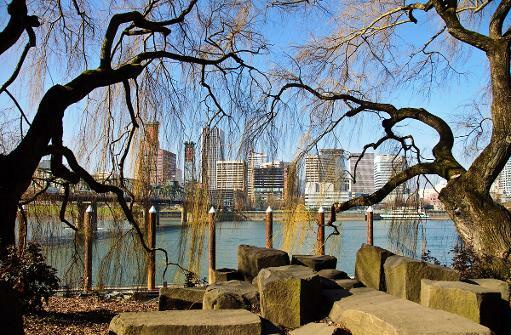 OMSI is located on the east bank of the Willamette River, just south of downtown Portland.1945 SE Water Ave. Portland, OR 97214-3354 Tues- Sun 9:30am — 5:30pm. Great for Kids. Lots of things to play with. Oregon History Museum - free to Multnomah County Residents 1200 SW Park Ave, Portland, OR 97205 10 a.m. - 5 p.m. Monday – Saturday Noon - 5 p.m. Sunday. Great exhibits, local history on all kinds of things. http://www.ohs.org/visit-ohs/index.cfm I really like this museum. It has some great displays and usually some good art as well as a variety to different exhibits though out the year. 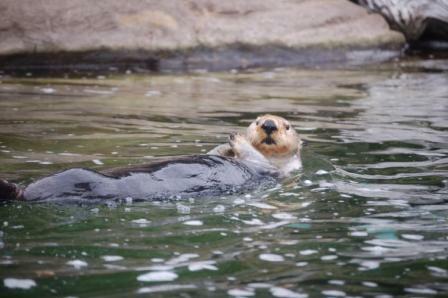 Oregon Zoo - 4001 SW Canyon Rd, Portland, OR 97221 9 a.m. to 4 p.m., and the grounds are open until 5 p.m. http://www.oregonzoo.org/ I am not fond of caging animals, but this is a pretty nice zoo and the kids love it. They have expanded a number of areas so that there is more room for the animals. In the summer the zoo has a great concert series and in the winter there are Zoo Lights, a fun display of holiday lights. Portland Art Museum - 1219 SW Park Ave, Portland, OR 97205 !0am to 5pm every day except Thurs & Fri. open until 8pm. Lots of great permanent art, but also great traveling exhibits. Tryon Creek State Park - 11321 SW Terwilliger Blvd, Portland, OR 97219 open daily 7am – Dusk. There is a paved path and lots of other dirt trails along the creek and through the park. http://www.tryonfriends.org/ This is another great place to get out in and be surrounded by nature as well as a little art. The paved trail often has some art offerings to discover in the forest.